See 3D VT link. 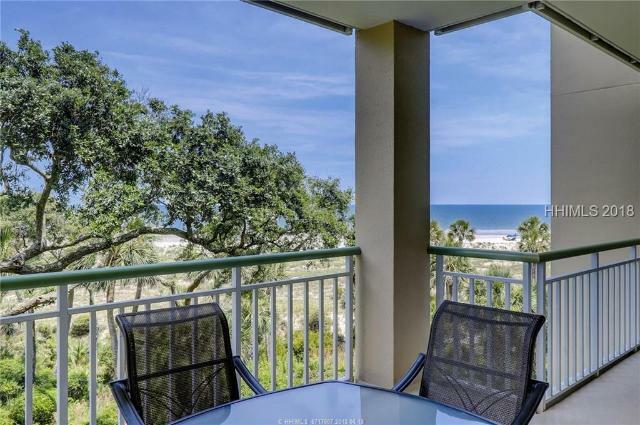 Enjoy direct ocean views from a spectacular wrap around porch in this modern villa located in the Leamington section of Palmetto Dunes. Updated bathrooms and light fixtures as well as remote controlled window blinds and surround sound!! Owner has private storage closet across from parking spot & access to the bicycle storage area in garage! Walk along the private beach or have an exclusive function at the Beach Club! Start enjoying the best that Hilton Head has to offer! Very Rare! 4/5 Bedroom 4,000 square foot ONE LEVEL Condo on the fourth floor of the Prestigious South Beach Club villa complex. This is a unique property with 12 Foot Ceilings. 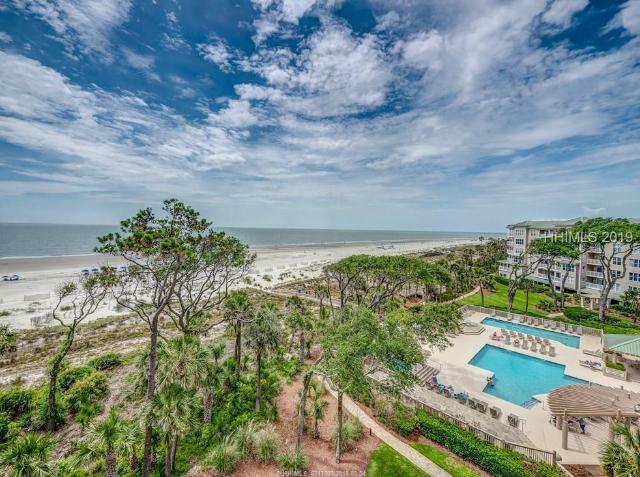 It features 4 balconies boasting beach & deep- water views to Calibogue Sound, Daufuskie Island, & the summer sunsets. Thermador double oven, Sub Zero refrigeration, Maytag laundry and utility room, central vac, a large living room and a separate corner great room both feature fireplaces, a spacious dining room, and an extraordinary oversized master suite with a private balcony. This large condo features four guest suites capable of easily sleeping 10 plus guests. Opportunity to buy the best priced South Beach Club Villa on the Market and to own a prestigious 5th floor penthouse (only 4 offered) with amazing views of the Calibogue Sound. This villa offers 4 bedrooms & 4.5 baths to include a spacious Master Suite, Open Kitchen/Family Room, Dining area, fireplace, crown moulding, den, 4 balconies, and a private elevator code to enter your own lobby for access. Enjoy one of the few villa complexes to have a parking garage, secured lobby, swimming pool, and private boardwalk to beach. This home is in GÇ£mintGÇ¥ condition and perfect for full time residence, 2nd home, or a great rental investment property. Located in the highly coveted private community of Turtle Lane Club, 42 Turtle Lane is a truly special retreat. Completely renovated and all new designer furnishings, this meticulous townhome has 3 bedrooms and a private sleeper den/br, and is located just steps from the pristine beaches of the GÇ£Gold Coast". Open floor plan incorporates a light-filled family room with a vaulted ceiling and custom built-ins. Custom designed gourmet kitchen features high-end appliances, custom cabinetry, gas stove top and granite counters. Family room has gorgeous furniture, gas fp wet bar with separate refrigerator, Fenced deck and a designated grill station. 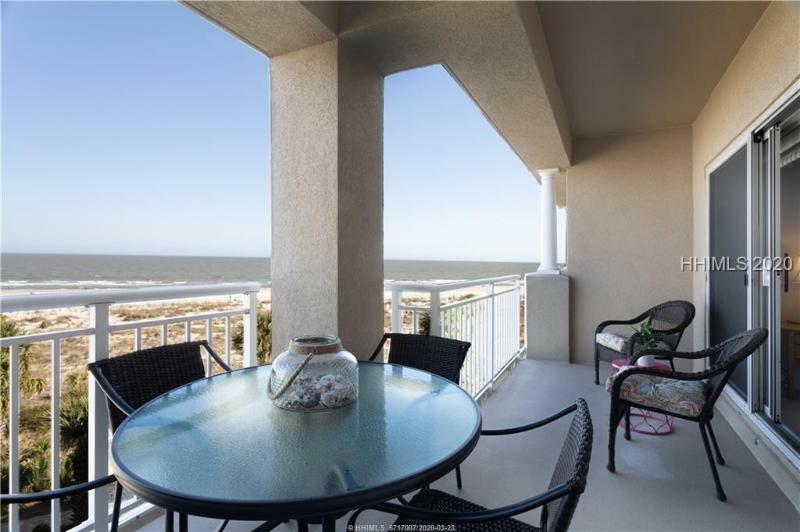 Imagine magnificent sunsets over Calibogue Sound from your private balcony in this remodeled 3 BR, 3 BA condo with direct access to the beach from your patio. Quality throughout the open floor plan with mahogany doors, Brazilian cherry floors, updated kitchen with new appliances, marble countertops, wet bar & wine cooler. All 3 bedrooms have private bathrooms. The master suite features a private balcony overlooking the Calibogue Sound & a master bath with separate tub & walk-in shower. Enjoy easy access to the South Beach Marina for shopping, dining & water activities. Ideal as a rental property, vacation getaway or permanent residence. Developed by Smith | SG Raptor Series | Rick Saba | Carolina Realty Group - Copyright © 2016 All rights Reserved.